Due to the DSP LLE and the research from @wwylele I was able to reconstruct the messages used in pipe3 to decode Audio. The encoded and decoded samples are transferred via DMA. So far this was only tested with XY and resolves all the softlocks but still keeps a good speed. Since AAC needs a license to distribute the compiled codec, we do not add the codec to the build. The decoding happens async. This should get implemented in the same way. There are other codecs (mp3, ac3) supported by the DSP chip/firmware. Implementing this should be easy as soon as the first decoder is merged. mostly looks okay to me. will check again soon. [ 41.987516] Debug audio_core/hle/aac_decoder.cpp:operator():189: Assertion Failed! There is sound popping issue with the AAC decoder on Pokémon X/Y it seems. @benderscruffy Can you please try again? @Danman3412 Yes I intentionally coded it that way that even if the dlls are missing the decoder would still return a valid response. This means the softlocks are fixed regardless of the dlls. This patch fixes crash #3443 in Fire Emblem If, but voices in treehouse mini-game have wrong pitch. Switching audio to lle mode makes the issue go away. On Rhythm Heaven Megamix the various minigames are too fast even though the game reports 60 FPS. Both the music and the gameplay as well. dll can still be an HMODULE like it initially was. On my system (Gentoo Linux, ffmpeg-3.3.6, fdk-aac-0.1.5), this fails to find the codec because avcodec_register_all is not called before avcodec_find_decoder. Relevant packages used are ffmpeg-3.3.6 and fdk-aac-0.1.5. That is actually an old function that has been deprecated in newer FFmpeg versions. Probably should check the version of the library in the code. Actually should just use #if here, as this is on linux anyway. 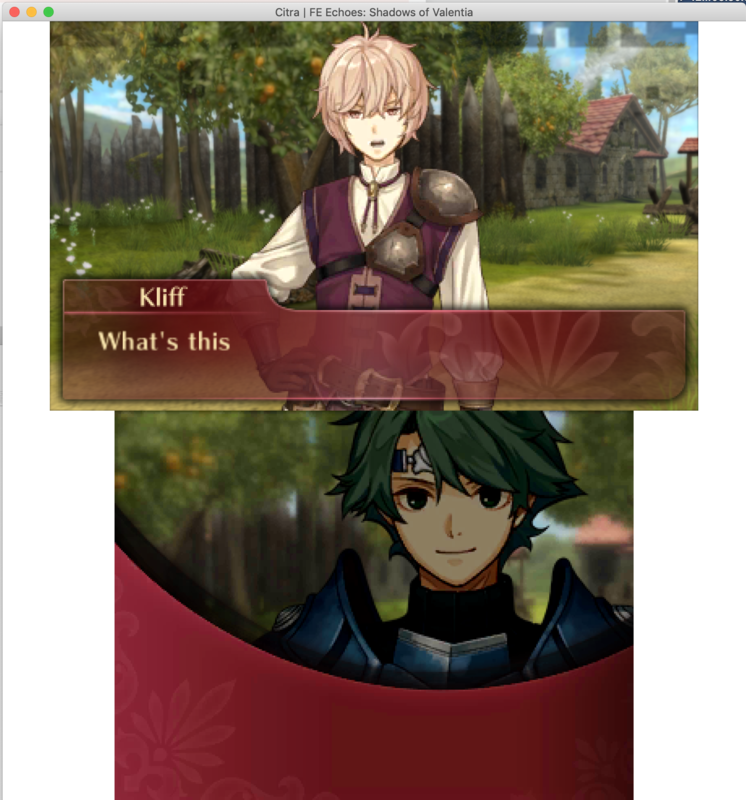 While playing Fire Emblem Echoes with the latest canary builds and using HLE, the game freezes whenever you try to talk to a character both in battle or outside battle. I have attached a screenshot and log file below. @B3n30 I am on macOS Mojave, which doesn't need ffmpeg dll files. on macOS it is known that our current build doesn't include al dylibs necessary. There is already a PR #4517 open that should fix that. @B3n30 that's great to hear. Is there a way I can checkout the open PR branch and build on my machine? No need to std::move here. return itself has move semantics.